South Africa is not exactly at the forefront of the EV-revolution that according to international news is about to sweep the globe. So what is it about EV’s that has enabled Elon Musk and Tesla to surpass BMW and Ford Motor Company in market value? Solanergy decided the best way to find out would be to get an EV for ourselves – so we bought a Nisaan Leaf about a year ago – and it’s been a revelation. 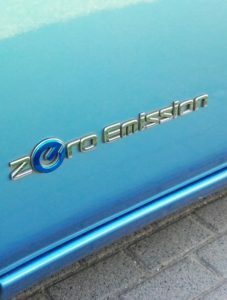 ICE (internal combustion engine) cars are the main contributor to Carbon emissions and climate change and with an EV you have none of that – provided you charge it from a renewable source such as wind or PV, that is. 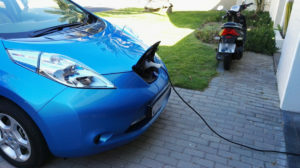 If you charge it with Eskom electricity then you will merely be moving the pollution from where you are driving it to the powerplant producing the electricity – almost – an EV is still cleaner but not by a huge margin. 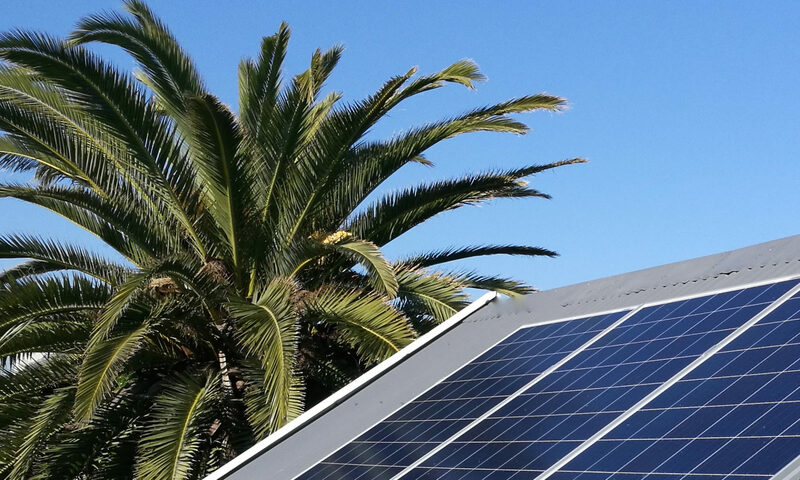 To get the full benefit, and really make a difference, you should charge it from Solar PV or wind-power. In our case we run it exclusively off our solar panels which means its 100% clean and the running costs are reduced to changing wipers and tires. No more servicing and no more stops at the fuel-pump. Compared to our previous cars we are saving about R35,000 a year…..if we were filling it with Eskom power the saving would be R31,000 – so still amazing savings. Charging at home is super easy – plug it in when you park it and unplug it when you go for a drive – that’s it. Driving an EV is, as I said, a revelation – it’s super quiet, as in no sound whatsoever from the engine compartment, acceleration is amazing and there are no vibrations or any types of smells – it’s amazingly calming and it feels like you are floating on a cloud. Knowing that your drive just cost you virtually nothing just accentuates the feeling. So why isn’t everyone driving an EV? Main reason is the upfront purchase price – an EV is still more expensive although the TCO (total cost of ownership) which includes servicing and fueling, is almost at parity already. Secondly, EV’s need charging-infrastructure before it will work – here the manufacturers and government have not been particularly proactive in South Africa – ie. Nissan have the sum total of zero charging stations available in the Western Cape – so you are on your own. Range on the early available models is also not amazing (120-150km’s) and that means they are currently only useful for people who have short commutes. Lastly, there is a lack of knowledge about EV’s and there is a lack of models – there are currently only two full EV’s available in South Africa (The BMW I3 and the Nissan Leaf). But if you have driven or owned one you will be convinced that once battery pricing allows the manufacturers to add more battery power and still be competitive on pricing with an ICE car – then there is no turning back – you’d never want to drive an ICE car again…….and by all indications this tipping point could be with us within the next 3-5 years. When you are planning your next PV installation or garage build – don’t forget to include an EV plug, or just use the wall-plug like we do – it’s a revelation.